Proper nutrition is at the heart of living a healthy life. When someone is diagnosed with a life-changing or life-threatening condition, they instinctively know that they need to make changes to their diet. There are increasing amounts of studies that have found direct links between highly processed and high-sugar foods and conditions like diabetes and arthritis. Cancer survivors are no exception to this rule. How Does An Alkaline Diet Fight Cancer? An alkaline diet consists of reducing daily intake of acidic food while increasing intake of alkaline foods. Some people even suggest cutting out acidic foods entirely. 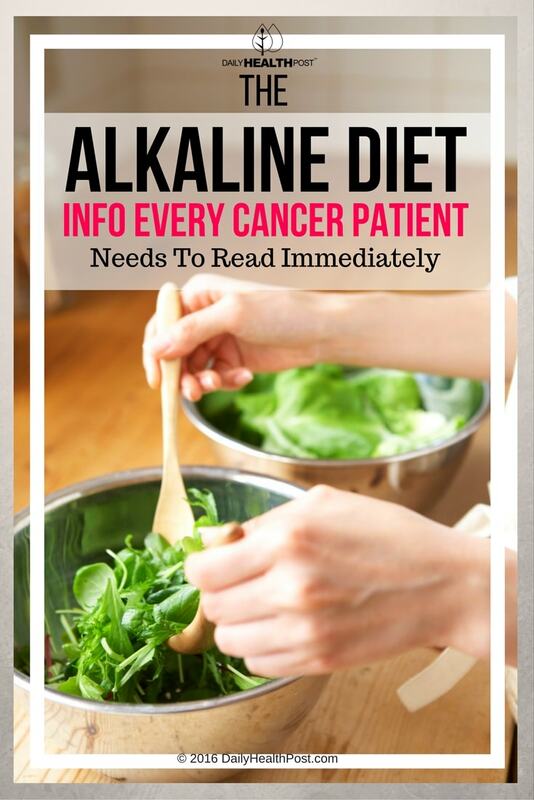 The theory is that since cancer cells tend to die in alkaline environments (1), eating alkaline foods will make your body an unfriendly place for cancer to grow and spread. Many acidic foods are also pro-inflammatory and inflammation is believed to be one of the underlying causes of cancer (2). In a healthy individual, an inflammatory process starts when chemicals are released by the damaged tissue. In response, white blood cells make substances that cause cells to divide and grow to rebuild tissue to help repair the injury. Once the wound is healed, the inflammatory process ends. In chronic inflammation, the inflammatory process may begin even if there is no injury, and it does not end when it should. Why the inflammation continues is not always known. 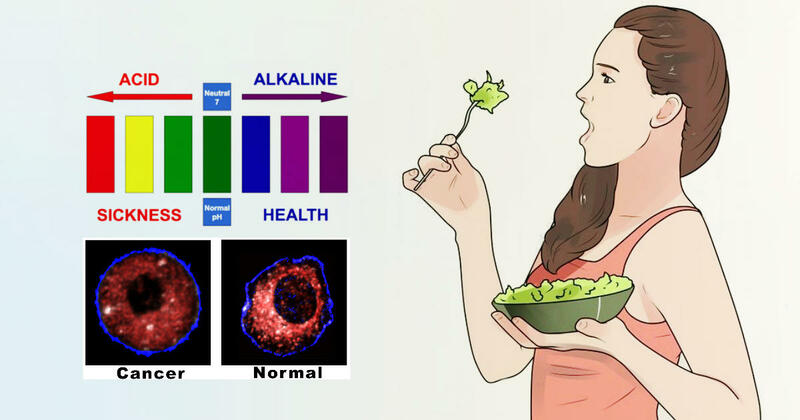 An acidic diet makes intracellular pH more acidic, a condition called latent acidosis – which creates the perfect environment for cancer to flourish and grow. An alkaline diet can re-balance your intracellular pH and fight the spread of the disease. Calciferous vegetables like kale, broccoli and cabbage should make an appearance on your plate every day. Some veggies are best eaten raw, so make sure to inform yourself about the best ways to prepare your meals. While fruits contain incredible levels of vitamins and minerals, try to stick to 2-3 pieces a day to keep your acid levels low.